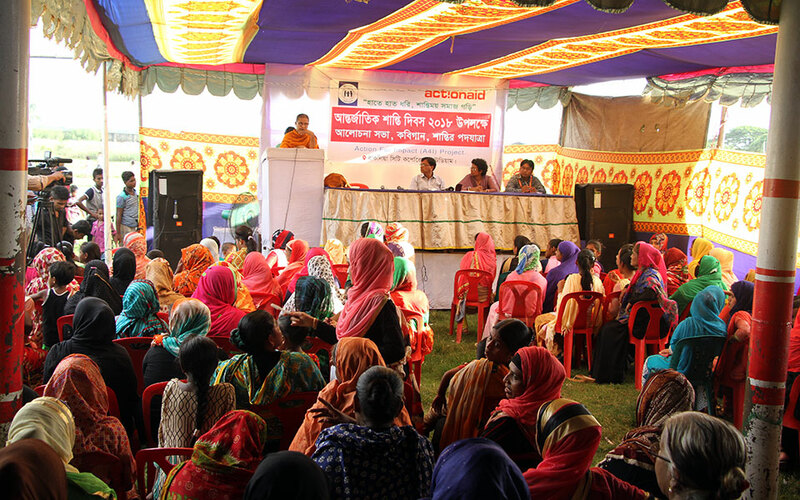 YPSA, with the support of ActionAid Bangladesh, has been implementing “Action for Impact” project which aims ensuring women’s rights, child rights, preventing domestic violence, child marriage improving youth skills as well as ensuring effective participation of youth, promoting community awareness and action. 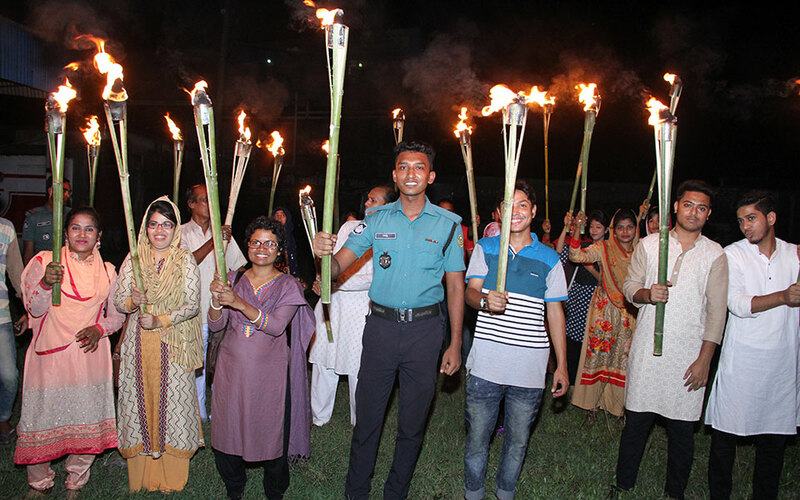 In continuation of these works and on the occasion of the International Day of Peace 2018, YPSA organized peace procession with torch, staged Kabi Gan (traditional song that teaches social and moral values), discussion meeting, and recitation of different religious scriptures. 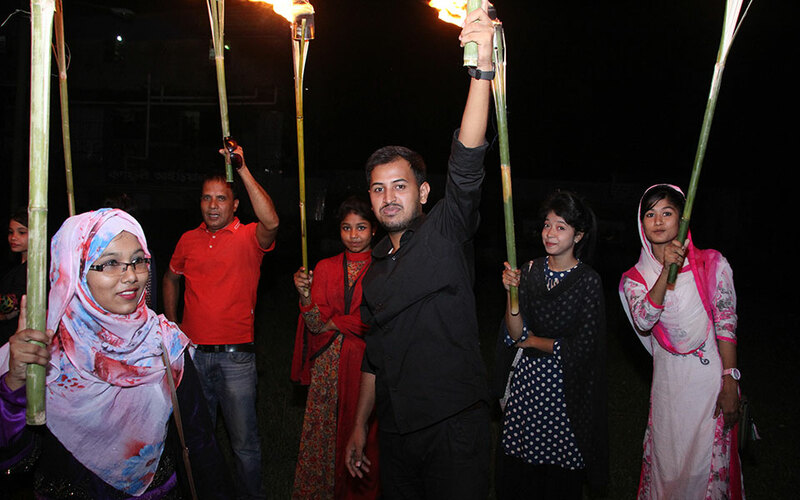 These events took place at the Bakalia City Corporation Stadium, Chattogram. In the discussion meeting, youth representatives from different religious communities spoke about peace and progress on behalf of the youth community. Speakers emphasize on the importance of International Peace Day, as well as discussed different issues related to religious harmony and social ties. 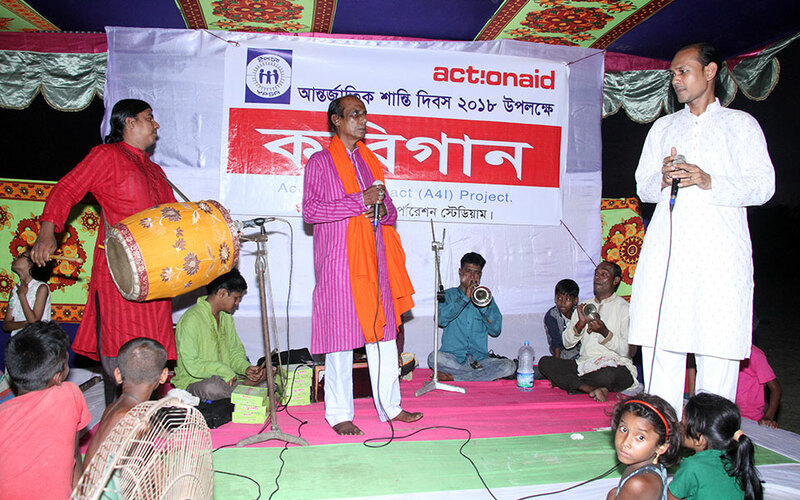 Coordinator of the Action for Impact project Shamosri Das presided over the meeting. Begum Lutfunnesa Dovash Baby, female councilor of reserved seat for Ward 33, 34, 35 of CCC was present as chief guest. Religious representatives from Muslims, Hindus, Buddhists and Christians were present as special gusts. The International Day of Peace is observed around the world each year on 21 September. Established in 1981 by unanimous United Nations resolution, Peace Day provides a globally shared date for all humanity to commit to Peace above all differences and to contribute to building a Culture of Peace.